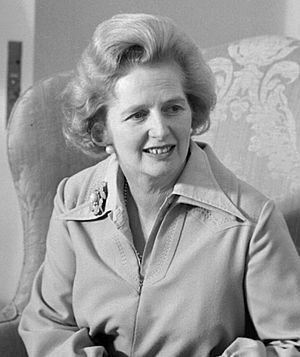 Thatcher’s privatisation programme of the eighties: energy, water and transport was marketed as progress – many bought into her idea that publicly funded services cannot function, and believed that privatisation meant improved services for consumers. Today, looking back it doesn’t seem that way at all. There was a naive assumption that profits would be ploughed back. It hasn’t turned out that way. Has the penny finally dropped on privatisation? How did we get into this desperate situation where our essential services – for example our basic need of water to drink are held in companies abroad? Why is the ninth richest person in the world made richer every time you turn on the tap? Every time the toilet is flushed, billionaires are benefitting – so “spending a penny” takes on a whole new meaning. As we see our water bills rise, it is reported in the Independent that several British water companies have been taking out loans from owners’ off-shore subsidiaries. Rather than investment in infrastructure, we are seeing blatant exploitation. Furthermore, the owners pay no tax on such profits, because of use of offshore companies in the Channel Islands or the Cayman Islands so a third of our water bills goes towards paying off such debts, while very rich people in the world pay no tax at all as they rake in huge profits like the winner of a giant game of Monopoly. It is this corruption and greed which is without morals, potentially driving individuals to criminal activity such as reported recently as horse meat has been used fraudulently in food products labelled as containing beef. What can have happened to result in a broken society where money for individuals becomes more important than food and water for the world’s people? Today those private water companies supply England and Wales with water. Some also supply both water and sewage services. Yet in Northern Ireland and Scotland state owned companies act as the major providers of water and sewage services. Northern Ireland Water is the sole water and sewage provider in Northern Ireland while Scottish Water carries out similar functions in Scotland. A comparison shows that the privatised companies of England and Wales charge roughly twice as much as the public sector water authorities of Scotland. During the late 19th Century water services were taken over by local authorities in England and Wales. Individual authorities ran some of these, inter-municipal authorities ran others and a few private companies remained. A simple cap of a maximum return of 5% strictly regulated their profits. While Labour were in power in 1974, there was a Control of Pollution Act. Water supplies were reorganised into ten unitary regional water authorities and each responsible for quality, supply and sanitation. The government appointed these. Board meetings from these, which had previously been public, were made secret by the Thatcher government in 1983. Clearly the plan for privatisation had been hatched. During this time the number of employees was cut from 80,000 to 50,000. 3. privatization would create competition. These claims were not supported by evidence from comparative studies or international reviews of the actual performance of public and private sector water companies. The fundamental motive for privatising water companies was Margaret Thatcher’s government’s neo-liberal economic policy. The aim of this was to reduce the size of the state and minimize public borrowing. All of this was used as a further justification for privatization. The plan was to privatize water in 1983, but so unpopular was the policy that it was shelved until after the next General Election. 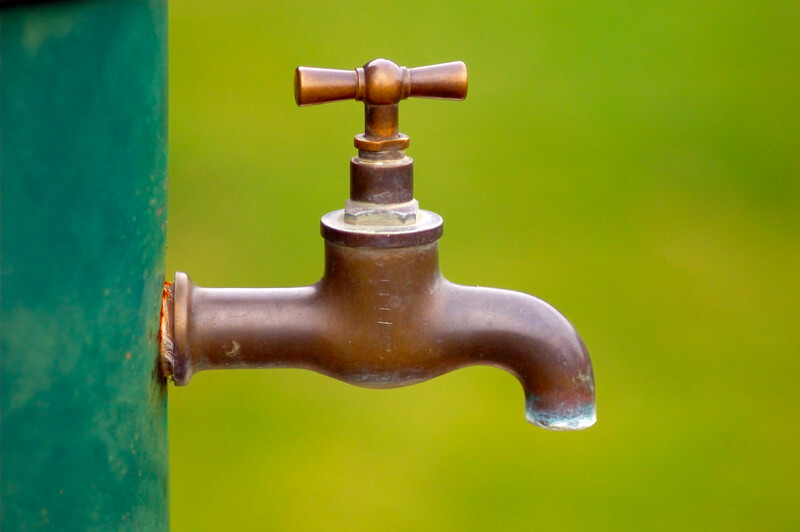 By 1988, the Regional Water Authorities in England and Wales were ripe for privatization. The sell-off was almost unquestioned as the submission of the public was achieved as they were lured by offerings of the shares in newly privatized companies. There was a feeling of “something for nothing”, a sign of the times you could say – with little attention given to the consequences and even less of the morality. This is nothing less than sheer greed. The privatization was a give-away. The resulting companies were protected from needing to compete for business at all – not even once – they held monopolies in their regions for 25 years. What followed were more lies. The expected expenditure was deliberately over–estimated in order to maximize profits. OFWAT was asked to set a price formula for investments that were never made. One example of this included Southern water submitting plans for a series of sewage treatment plants which were not installed. Another example was Yorkshire Water expecting to avoid £50m expenditure on sewage treatment because the Conservative government promised to redefine coastal waters near the city of Hull as sea – where untreated sewage could be dumped – instead of estuary – where sewage would have to have been treated. A number of companies deliberately cut their investment programmes and used the ‘savings’ to maintain or increase their dividends. The companies, which did this, include Thames Water, North West water, and Yorkshire Water. The capital expenditure and maintenance of sewers was been a particular cause for concern. Underinvestment led to neglect of the sewerage network, with obvious negative effects on public health. All this was to boost profits. Following privatization there was a sharp rise in disconnections. “The water companies say that they disconnect only the “won’t payers”–those who can afford to pay, but refuse to do so. I shall bring to the attention of the House some recent examples of people I know who have been disconnected : in Southampton a lady with seven children, one aged three who suffers from a heart condition ; a family of five, in which the mother suffers from a medical condition which requires a constant supply of water and whose neighbours provided that water via a hose pipe ;and a severely disabled elderly lady, whose neighbours brought her water in a variety of containers. It is clear the rich have satisfied their immoral greed by creaming off profits, and not fulfilled responsibility by investment in services. It seems obvious in retrospect that self regulation does not work where the motive is personal profit. The privatisation of our basic needs in order to provide profits for a few was foolish, destructive and dangerous. It is time to engender mutual responsibility. We must not tolerate suffering caused by selfish profits, and it is time to bring back utilities and essential services back into democratic control, and to renationalise. Cities worldwide are taking back control of their collective water systems. The outcome of two years of research, this new book by Corporate Europe Observatory, Transnational Institute and the Municipal Services Project, the first ever published on the issue, examines the new trend for water ‘remunicipalisation’, analysing the causes of this new phenomenon and assessing its outcomes from a progressive public water management perspective. Case studies analyse the transition from private to public water provision in Paris, Dar es Salaam, Buenos Aires and Hamilton, and look at a national-level experiment in Malaysia. Showing the benefits and challenges of putting these systems back into municipal ownership, the book is a must-read for anyone interested in collective water management today. While Labour is talking of redistribution of wealth through a fairer tax system , nationalisation of utilities must also be on the agenda at the next General Election. This entry was posted in Economics, Environment, Globalisation, Opinion and tagged Margaret Thatcher, nationalisation, OFWAT, privatisation, Sewage treatment, water, Water supply by Pamplemousse. Bookmark the permalink. Utilities created employment, invested in research and drove the economy. The public would welcome them back into public ownership and it should be a central strategy for Labour who seem to believe the perception of public opinion generated by right wing press. Where they continue to be clever is that subjects like this are never in the conversation, instead it’s all about benefit claimants and how they’re destroying the economy. The Tories are good at what they do, got to give them that. Totally agree Steve, rail renationalisation is one of the most popular policies. Believing the scaremongering in the press has held Labour back. Every day ordinary people are saying, “politicians are all the same.” We did it in ’45 and must do so at the earliest opportunity and stop this robbery! Shame that it might be too late for RBS. It would have been a great experiment to see how it could have been used to benefit the economy and perhaps force the cartel to become competitive. Barclays are congratulating themselves on £7.2bn profit. We shouldn’t be. Couldn’t agree more it’s time all of the essential services, water, energy,rail and communications were taken back into public ownership without any recompense to those who hold the shares. They have taken more than enough in profits and dividends. Chris, you forgot money. Money is created by the privately owned banks whenever they make a ‘loan’. That’s the only way it can get into the economy these days. More than any other utility, that’s the essential we have to recover into national ownership yet oddly the subject very rarely comes up. I refer you to my earlier comment above. Couldn’t agree more Big Bill. Perhaps as we already own some of them this is where we should start? In Canada these days there is a b public outcry about legal tax avoidance by big firms. It also now seems obvious in retrospect that self regulation also does not work. Effective supervisions, vigilance , controls are always needed.. Thanks for the post .. We are all suffering from the same agenda. International solidarity is definitely in order!